We offer many different styles of medieval belts. 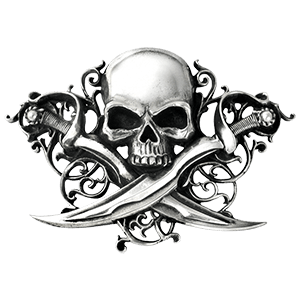 Whether you are looking for a sword belt or a Medieval Ring Belt, we are the place to get it! We have leather baldrics, sword belts, rapier carriers, decorative medieval style belts, ring belts, buckle belts and roman belts. Our leather baldrics are designed to carry your large sword on your back. Ring belts come in a variety of styles and colors, and go great with that medieval costume. 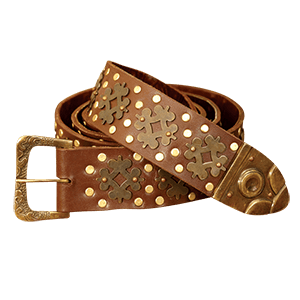 Our decorative belts are handcrafted of fine quality leather. Leather sword belts are designed to carry a sword on your left or right side. 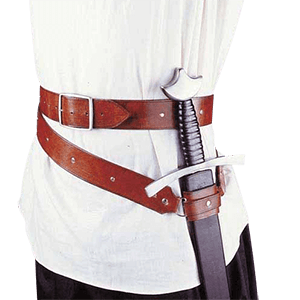 Our rapier belts are great for carrying your favorite rapier during fencing practice or re-enactment. 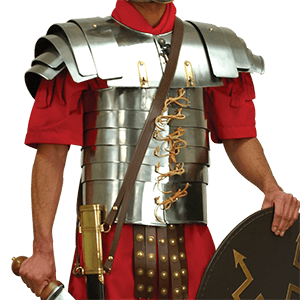 Our roman belts are very authentic looking for that re-enactment or theater production to give you that roman soldier look. 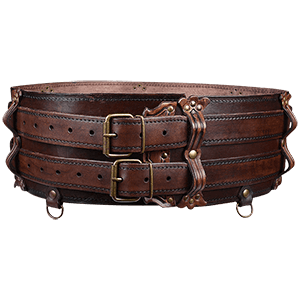 We have a wide selection of high quality leather rapier belts. 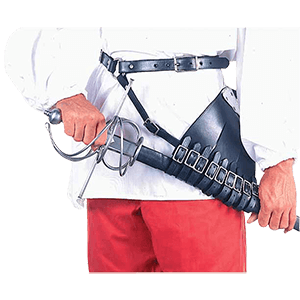 Our rapier belts are designed to let you carry your rapier with ease. 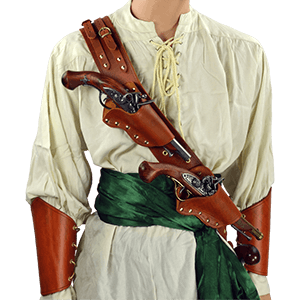 Most rapier belts allow you to hang your rapier on your left or right side. Your rapier scabbard fits through leather loops on the carrier at the best angle for quick access. 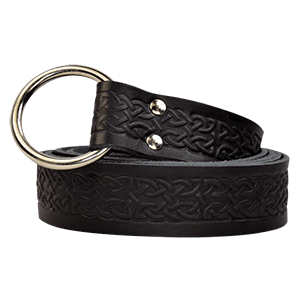 All leather rapier belts are made of heavy duty leather and are adjustable to fit almost any size. All our rapier belts are handcrafted and are very affordable. We now carry real and authentic military belts from the military branches. We have sword belts from the Marines, US Army, Navy and the Air Force. We have ceremonial sword belts, officer belts and enlisted personnel belts for that special someone in your life that is from the military. 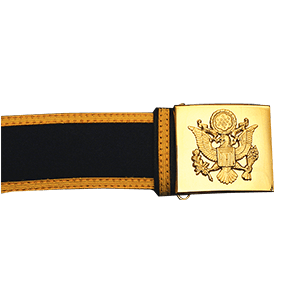 Our military belts are made of black leather that has a gold plated buckle. These military sword belts are adjustable and very affordable to anyone's budget.